My father and I sat at the kitchen table fiddling with the Revell 1/72 F-111 we were building. The year was 1973. We lived on base and the sound of C-130’s was a constant backdrop. My dad, an “old school” Jumpmaster in the 82nd Airborne kept me supplied with airplane models from the Base Exchange. The F-111 was ready for paint–my favorite part. Armed with a brush and Testors enamels, the Aardvark received the South East Asia scheme of greens and tan. I was fascinated by the whole process. 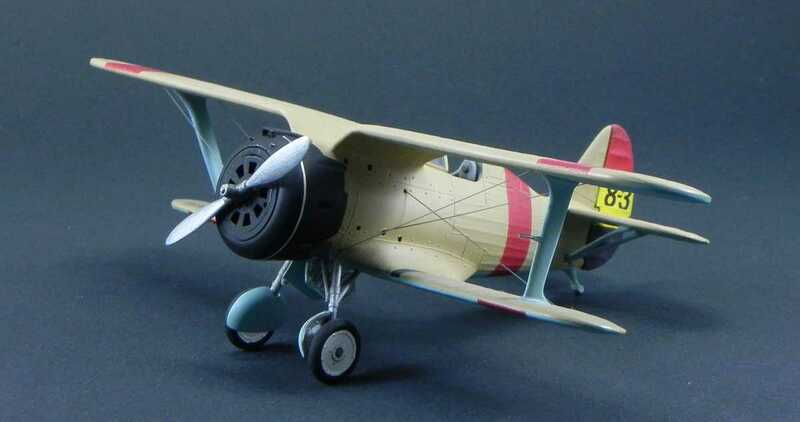 By 1975, I was seriously into airplane models and with my trusty Badger double-action in hand; airbrushing became the focal point of my builds. Now more than 40 years later, I still get a sense of fulfillment watching a model come to life on my workbench. Not surprisingly, this especially happens when the project reaches the finishing stage: when paint, decals, and weathering miraculously blend together and, in some small way, capture the tinniest essence of the 1:1 subject. That’s why I still build models. 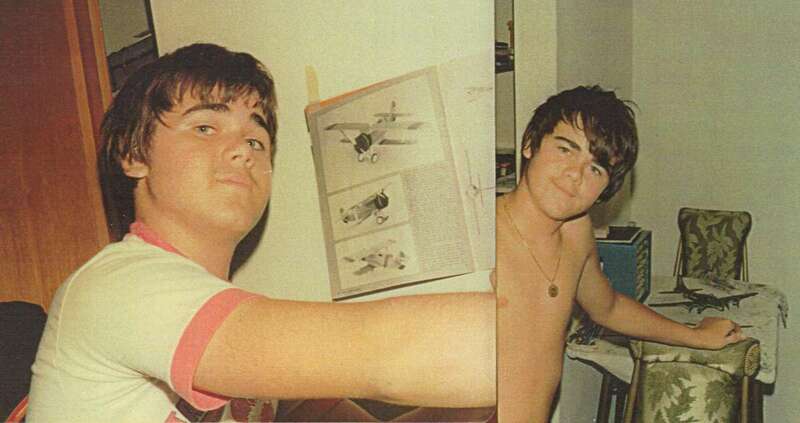 Me circa 1976 while building a Polikarpov I-153. Note modeling magazine on wall. The picture on the right from the same period shows my workbench and recently finished 1/72 B-17G. Having been bitten by the airbrushing bug early, I’ve spent a lot of time focused on the finer points of spraying paint. Through years of trial, error, and a fair share profanity, I’ve learned a few basic airbrushing techniques that have given me great satisfaction and allowed my builds to garner multiple “Best of” or First Place awards in IPMS-sponsored contests. I firmly believe that anyone can learn these techniques. There’s nothing special about it beyond having good information, the right tools, patience, and the willingness to practice. This belief was reinforced when I began teaching airbrushing classes out of my favorite Seattle hobby shop. The overwhelmingly positive response from people attending these classes made me realize there was an opportunity to do something I’m passionate about. I threw away my white lab coat and started Model Paint Solutions. I’m fortunate that my wife and son are both actively involved in MPS making it a family affair. 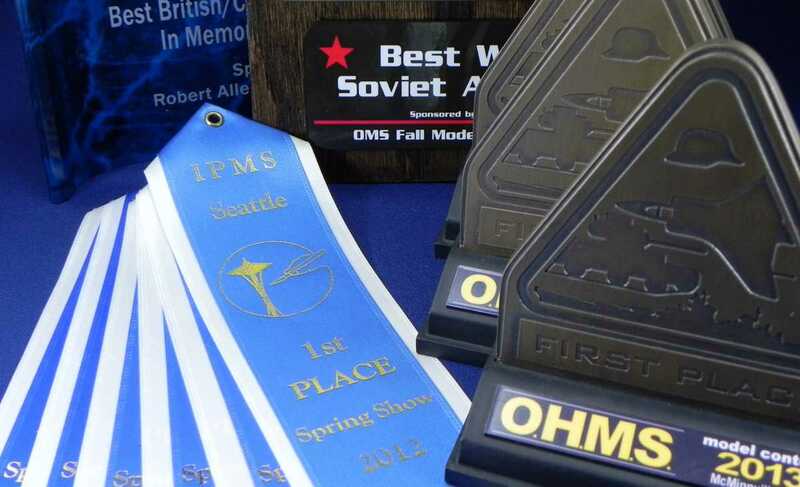 A selection of awards won at IPMS-sponsored events in the Pacific Northwest. The Model Paint Solutions’ “Prime Directive” is to carry only tools and supplies that I’ve used at my workbench. If I haven’t used it, I don’t carry it. My aim is to make MPS a modelers website. To that end, The Paint Booth will feature an ever-expanding series of “How-To” articles on all kinds of model building subjects with an emphasis on painting and finishing techniques. These articles will provide information on the use of all types of primers and paints as well as on preparing mixtures, dilutions, and appropriate spraying pressures. I will give you suggestions with regards to the handling of your airbrush, results you should be looking for at each step of the painting process, potential pitfalls, and alternatives for tricky steps. Instructional videos showing basic and advanced airbrushing techniques are in the works and will be posted soon. I hope you enjoy it as much as I do. If you have questions, comments, or suggestions, feel free to drop me a line. Although we’re young, we have big plans for the future so be sure to check in from time to time. After multiple moves and thousands of miles with cracked paint, sagged over-scale rigging, and a few upgrades, my Heller 1/72 Polikarpov I-153 from 1976.